Need a hero? Call this guy! 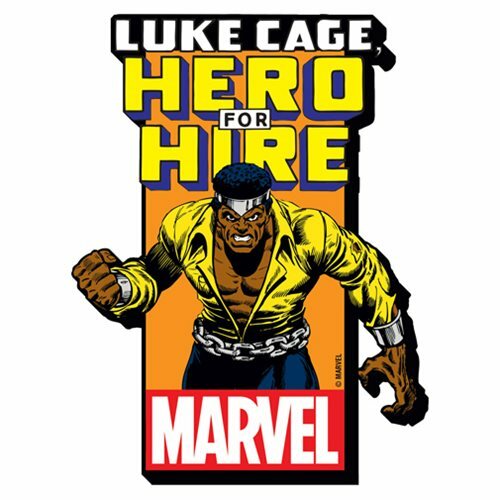 The Luke Cage with Comic Logo Funky Chunky Magnet shows Carl Lucas in action, and that's not good news for somebody! This isn't your run-of-the-mill magnet. It's wooden, it's laser die-cut, and it's chunky! Ages 13 and up.